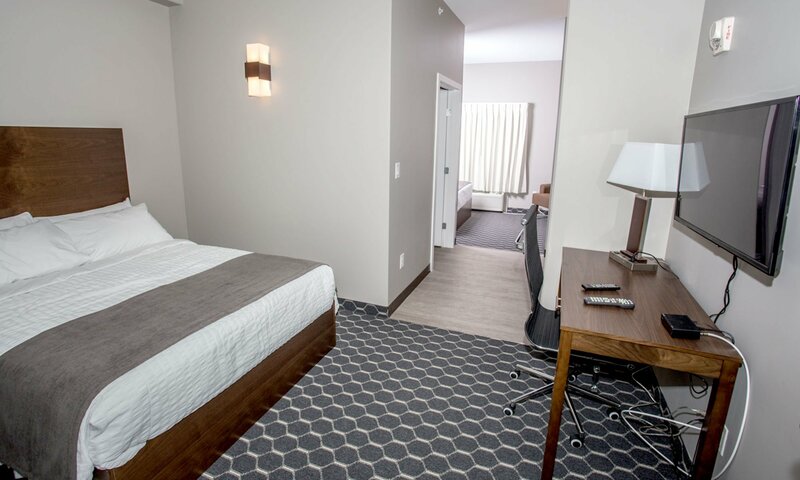 After a relaxing day in Souris Manitoba, relax in our well-appointed rooms. These large 415 to 676 square foot rooms with 10-foot ceilings will ensure a restful sleep. All rooms have queen size beds and complimented with queen size pull out sofas or tables and chairs. Souris has a network of over 80 artists who will provide local artists and photographers that you can view or purchase in the hotel. We have some specifically designed pet rooms on the main floor. 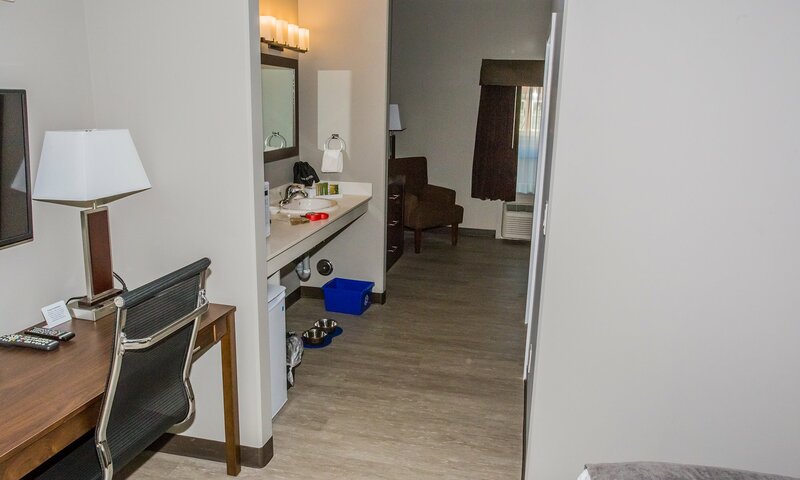 Our accessible rooms located on the main floor are designed for people who need a little more space and a larger bathroom. 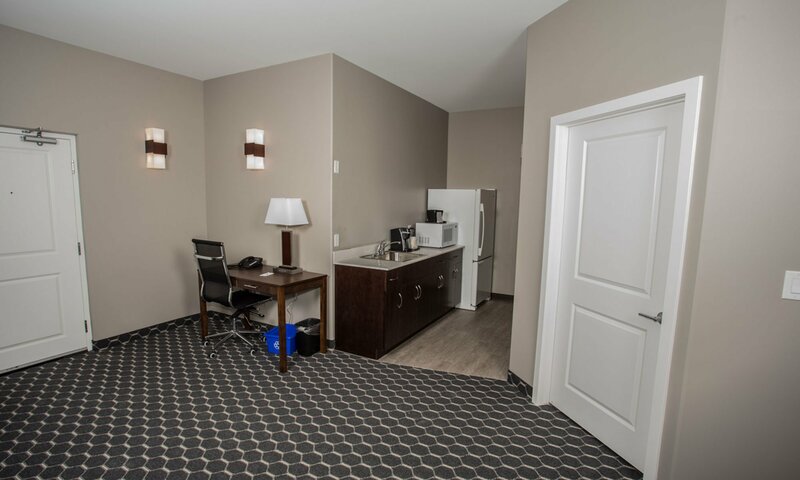 Our standard rooms located on all 3 floors and accessible by elevator or stairs provide spacious accommodations with privacy. Configurations include 2 queen beds or one queen bed with a pull out hide a bed. The 2 queen bedded rooms have separate bed areas, each with its own 39" flat screen TV. Our suites are located on the 2nd and 3rd floors and offer 2 rooms, along with a queen bed and a pull out queen hide a bed. 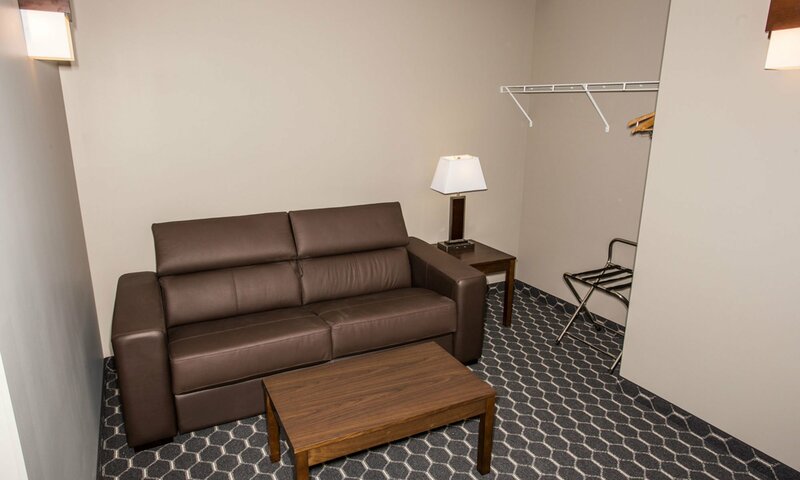 A kitchenette is also provided and at 676 square feet, these suites offer all the space you need. Every morning from 6 AM to 9 AM you can expect a cup of hot coffee, tea, juice and a lovely selection of pastries, toast, cereals and fresh fruit to start your day.